This past weekend was the season opener for the North American League of Legends Championship Series. It was the first games for a newly franchised LCS and also the first on the newest patch of the game, and one thing dominated: a whole lot of stopwatches. The stopwatch was added last November, but opening weekend was the pros’ first chance to use it in competitive play. The item is a one-time-use stasis. It freezes you in place for 2.5 seconds, but you also become invulnerable for the duration. Once used, it “breaks,” but you can still use it to upgrade into higher-tier items that have a similar ability but more passive gains. As a standalone item, the concept is fine: investing gold into a get-out-of-jail-free card means you’re not spending gold on crucial boons to your damage or survivability. But one mastery, latent talents that each player can set for their avatar before the game starts, gives you a free stopwatch. And boy, did the pros abuse that. In the early game, it was extremely common to see at least three stopwatches on each side, and often more. It was a guaranteed out that simply erased mistakes. Combined with Flash, a short-range teleport skill that every player in League of Legends runs (except for the ones that play Singed or Olaf) it was extremely hard for players to die in the early game. For junglers, the roaming playmakers of League of Legends, this means ganking—esports jargon for teaming up with another player to kill that player’s laning opponent—requires continual effort for lessening pay-off. Gank once, stopwatch. Gank again, burn their Flash or other escape abilities. Gank a third time, and maybe now you’ve got a kill. That’s a significant time investment. The idea of stopwatches, in a vacuum, is that they could provide an opportunity for cool play, like this one from the LPL where members of SNG use it to juggle turret shots as they dive for a kill. Turrets will focus their fire on the most pertinent threats, but if that threat suddenly turns invincible and unable to attack, they will divert their attention to another. A Reddit user did a count, and in week 1 of the North American LCS, 60 percent of players used the mastery that gives you a free stopwatch. That’s not even counting other regions like Korea or Europe, where players also made liberal use of the mastery. League of Legends has, in general, slowed down. 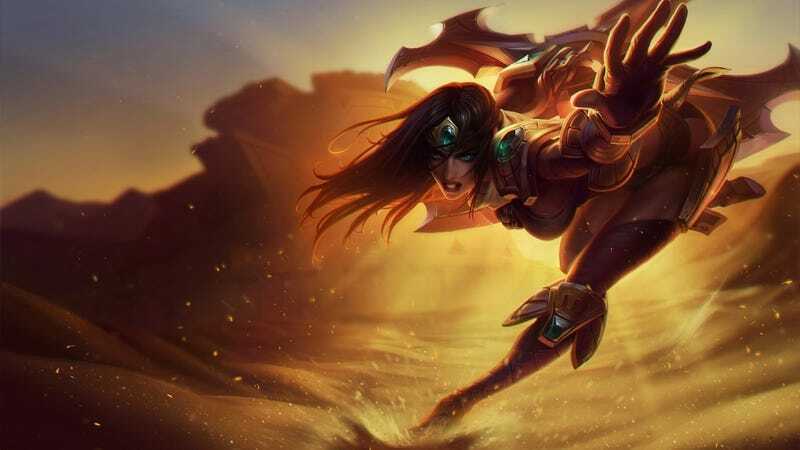 And it isn’t solely due to stopwatches—teams are using stalling tactics to try and play for late game, and champions like Sivir make it very difficult to push into a losing team, as they can deter waves of minions faster than the game spawns them. But stopwatches have made the early game a lot less exciting, or rather, early mistakes a lot less punishing. Every competitive situation involves minimizing risk and capitalizing on advantages, but a free escape button with no real alternatives or reasons not to use means a whole lot of sitting, watching, and waiting for the action to happen. A previous version of this post said that you could repair the stopwatch at the game’s shop, it has been fixed to reflect that it is a one-time consumable.